Fifty per cent of people who responded to the annual social survey do not think the States of Jersey is doing enough to address climate change. The study, which surveyed 3,200 households, found almost 90% think climate change is a problem. The statistics also show the younger people are the more likely they are to be worried about global warming. More than half of under-34s in the island said it was a serious problem, compared with one third of over 65s. However, four out of 10 people responding to the annual survey also thought the seriousness of climate change had been exaggerated. And a similar number felt global warming was unstoppable and that people could not do anything about it anyway. The social survey also found that half of islanders were using their cars less than in previous years and another quarter would consider using it less if it did not cost more. 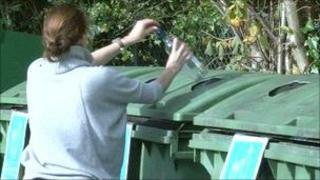 There was also an increase in the number of homes recycling cans, clothes and other items. Parishes with a doorstep recycling facility, which is between two-thirds and nine-tenths of the households, use the service.